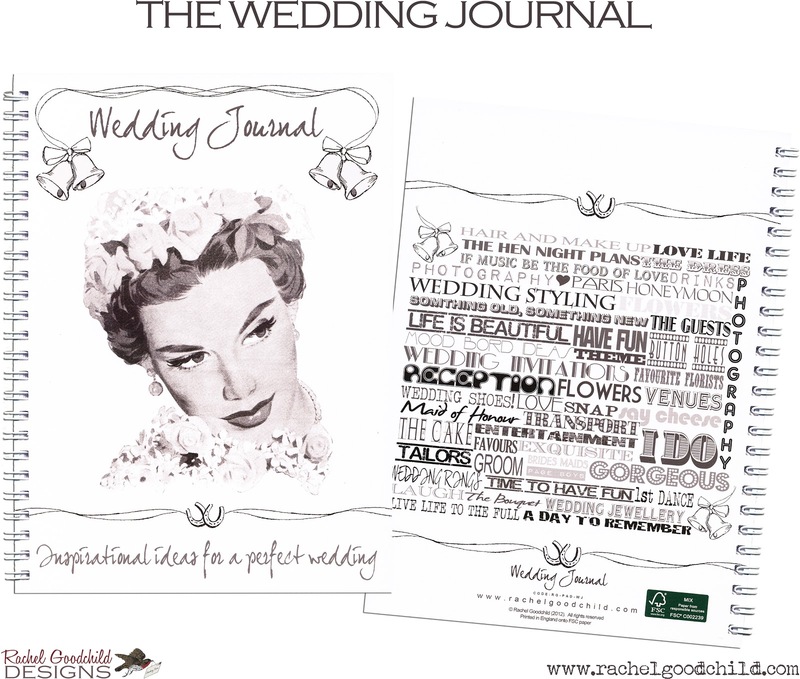 We’re delighted to welcome back Rachel Goodchild to our Bristol Vintage Wedding Fair. Rachel is a designer specialising in vintage-inspired contemporary paper goods. Her product range includes giftwrap, greeting cards, journals, gift bags and boxes. She’s been designing since 2000 and originally sold her products to the wholesale market, but as her reputation grew, a retail business was added. She now has many and varied customers throughout the United Kingdom as well as the States, Europe & Australia. These gorgeous giftwrap designs have been featured in The Sunday Times Style Magazine, Homes and Antiques Magazine, Vogue, Country Homes and Interiors, Coast and Country Living Magazine, as well as in The Pattern Sourcebook by Drusilla Cole. Rachel is also the brains behind The Wedding Blog Designer. 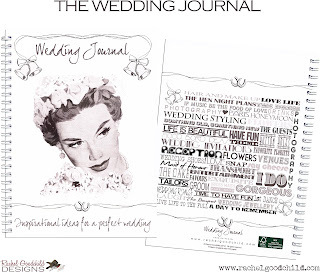 She has a range of bespoke wedding stationery, journals, blogs and decorations that she’ll be bringing to this years’ Fair. With her Wedding invitations, she can incorporate personal photographs and wording into the wedding design to create a bespoke invitation. They’re a fantastic idea. Each invitation is full colour front and back, and each order delightfully and individually vintage. Her wedding blogs are a wonderful on-line resource available for the wedding couple and their guests too. No more bits of paper falling out of your wedding invitation, instead you can use your wedding blog to include everything; the wedding list, details of the church and reception venue, maps and directions, local accommodation and transport, contact details, details of the stag and hen nights, and a display of wedding and honeymoon photographs. It’s got all your wedding details in one place! You can find out more about her products and designs on her website, check out the wedding blog designs here and find her on Facebook and Twitter. Oh and do make sure you come and visit her at the Fair. 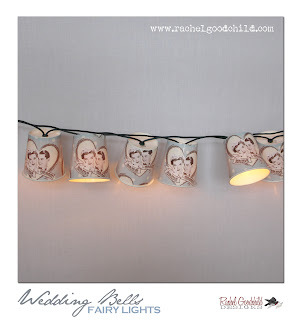 She’ll be exhibiting her 'Wedding Bells' Fairy Lights - a string of 20 fairy lights for indoor use. 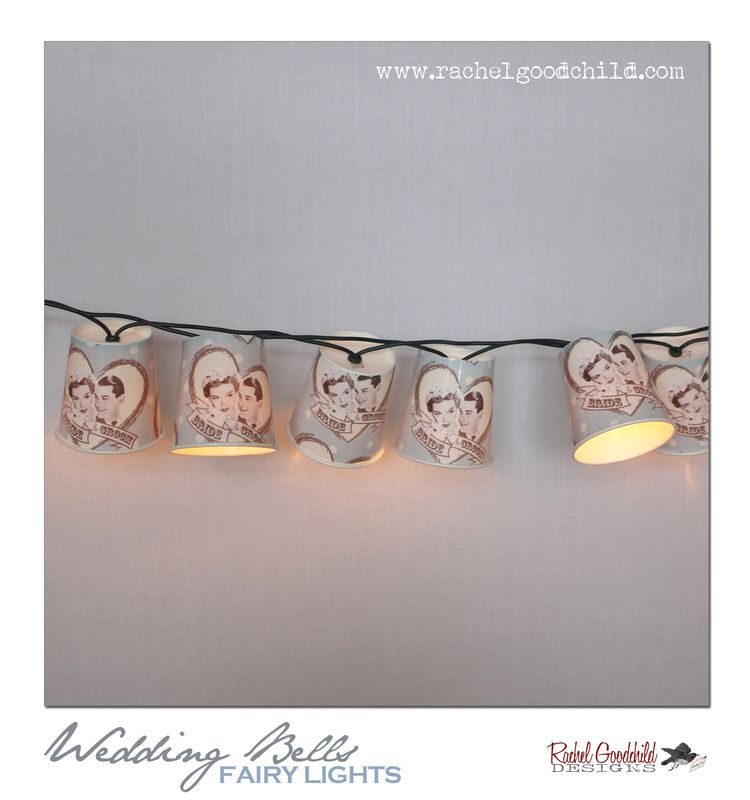 The 'Wedding Bells' gift set comes in a variety of designs and is packed in a white box with a clear perspex lid. Lovely. Great design items. I like it very much. Follow Bristol Vintage's board Bristol Vintage Wedding Fair on Pinterest. The Vintage Wedding Fair will take place on Sunday, 29th January at Clifton Pavilion, Bristol Zoo Gardens, Clifton, Bristol BS8 3HA. Doors open at 10.30 am and close at 4.00 pm. Exhibitors will be displaying original, vintage items as well as vintage inspired pieces. Above all, everything on display will be truly inspiring and unique. The Fair will appeal to brides who want a full vintage wedding, and to those who just want something that little bit special as well as to the discerning vintage crowd. Whether you're getting married or not, there's sure to be something to inspire you amid the exquisite lingerie, jewellery and clothes. We'll be posting details of our exhibitors regularly so keep checking in!